The yellow gold and radiant diamonds of these John Hardy earrings will catch the light and frame your face beautifully. 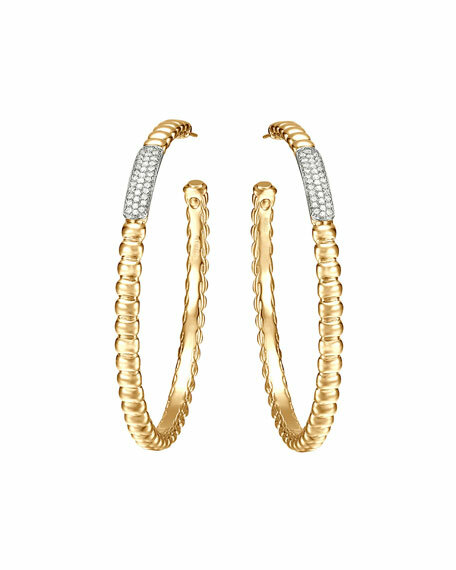 Ripple-textured 18-karat yellow gold forms hoops. The Bedeg Collection from John Hardy is designed according to the traditional woven bamboo architecture found throughout Bali. This classic look is created by Balinese artisans who weave lengths of gold or silver into works of wearable art.